Well, Spinsters, as promised, I'm back from my little break! I'm still a little under the weather, but not so much that I can't bring you some photos and links. Yesterday I went to Atlanta's Sublime Donuts, and it was delicious. I had a glazed croissant, a strawberries and cream doughnut, and the love potion pictured above. 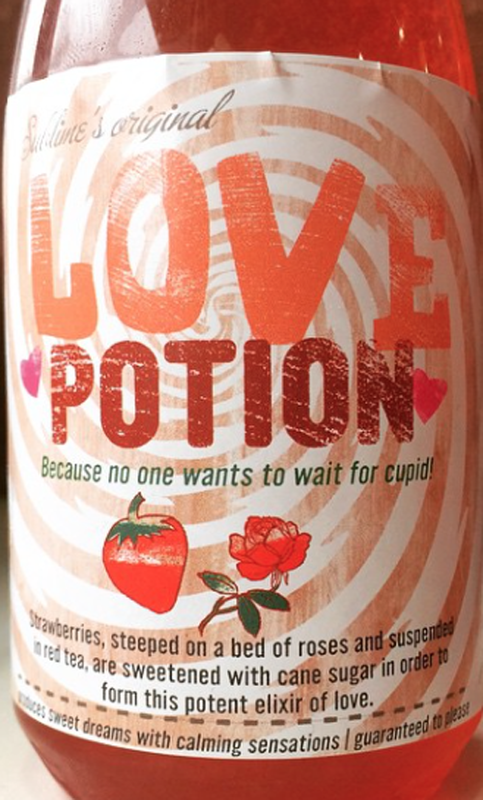 I drank the love potion, hoping that it would work. Instead, my online date postponed and then cancelled our date. So...I have to say I don't really recommend this. As far as I can tell, it doesn't work. 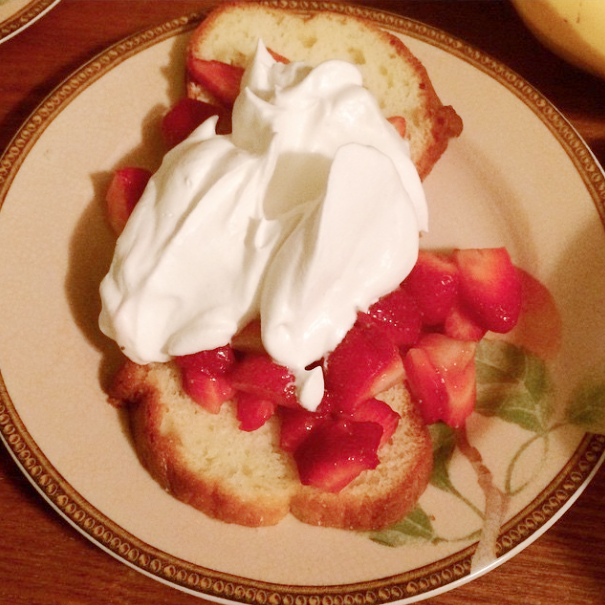 Thankfully, I went to CostCo and then made the delicious strawberry shortcake you see below. Yes, that's home made whipped cream. You just can't beat it. The last thing I'm bringing you today is a little dose of cuteness. I love my puppy, Miranda, so much that I could just eat her up. As I may have mentioned, I found Miranda through pet finder. So, today, I wanted to share with you a few links to cute little puppies in Atlanta that need a home. Don't worry, I'll bring you some precious kittens soon, too. So, let's get started looking at some precious little babies, shall we? Look at this roley poley puppy! How could you not want to just pick him put and squeeze all that cuteness? I bet he's a spunky little boy, too. This puppy looks a little like Miranda, and I love him. Look at that sweet little face. How could you not want to adopt this baby? His bio says that he is the runt of his litter. He needs your love and kisses. Look at this scruffy little baby. He looks like a little rascal, even when he's trying to look presentable and professional in that tie. How could you not love these little lopsided ears? We have rescued little Penny from a high kill shelter in a rural area. She is between 3 and 4 months old and never met a stranger. She is very playful and enjoys cuddling. Unfortunately we don't know anything about her history but he past her temperament test with flying colors. She is great with other dogs, cats, kids and people. This little girl will tickle you and will make someone very happy if given a second chance. Looking for a little baby who will snuggle and fall asleep in your arms??? Please e mail us for an application and meet Penny...."
There are so many cute little babies, I just think you should spend some time on pet finder today. Enjoy!